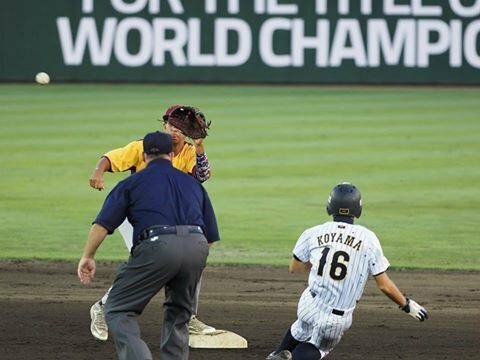 Cuba ended the United States’ unbeaten run at the World Baseball Softball Confederation (WBSC) Under-15 Baseball World Cup in Iwaki, blowing the battle for second spot in the super round wide open. An emphatic 11-2 victory puts the defending champions level with their opponents in joint-second place on two wins out of three. Joining the two nations with the same record is Panama, who overcame Colombia 14-4 today. Hosts Japan beat Venezuela 8-0 and are now firmly in charge of the six-team group on three wins from as many outings. The super round is due to continue tomorrow as Cuba face Panama, Colombia meet Venezuela, and the UIn the consolation round, which determines the final placings from seventh down to 12th, Chinese Taipei defeated Australia 8-2 to preserve their outright lead. South Korea are second thanks to their 14-4 victory over Mexico, while Czech Republic are third after thrashing New Zealand 10-0. Tomorrow’s fixtures in the consolation round see Australia go up against New Zealand, Czech Republic meet Mexico and South Korea face Chinese Taipei.